Although card colors and also personas serve a great opportunity to add more visuality to your user stories, it’s often not enough. 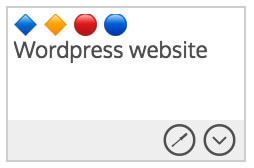 We got tons of requests on UserVoice to add colors, add secondary label options. StoriesOnBoard’s Support Team made up cool solutions for several questions. 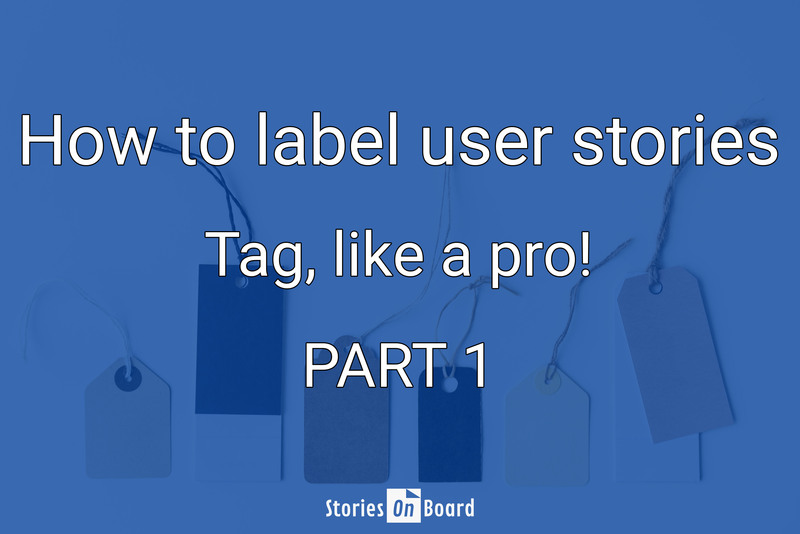 For example, how to visualize user journeys, sub-personas, how to add secondary or tertiary tags to cards. A few days ago, I did a great discovery. I updated an old story map and tried out ideas with Emoji icons. The result looked only funny but later found something useful in the Emoji library… What was that? Dots, squares, colored exclamation and question marks. And I found it an awesome opportunity. It means the opportunities are U-N-L-I-M-I-T-E-D for tagging, labeling, visualizing or whatever you call it. The topic inspired me a lot, so I started a mini-series about tagging. Follow us to get ideas and boost your story map! Where to put? It’s up to you and your team. I placed persona, priority, and journey tags for the first place and put other marks after the title. If you used three or more icons, try to preserve the first row for tags. Win: 1. Add Touch Keyboard to the taskbar by clicking on it with the right mouse button and select “Show Touch Keyboard”. 2.Open Touch Keyboard with by clicking on the keyboard icon. Let’s start from the back. I studied several story map examples and public boards. Teams use often labels for further action e.g. “must be discussed”, “must be re-prioritized”, “needs improvement”, “blocked” etc… When an issue came up just mark the story and discuss it later. Bigger teams often separate sessions for a better productivity. For example, a brainstorming session is a perfect place to re-prioritize or discuss user stories. If you marked these cards, use the search & filter to find them fast and easy. User stories can be qualified with labels e.g. “security feature” “integrations”. These marks can be special information for a developer. I think the oldest usage of labels is separating task types. By improving a running product, you should visualize tasks, bugs or features if they belong to different priority level or dev team. 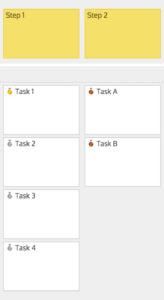 In fact, you have two opportunities to visualize priority levels on a user story map. The most authentic way to express priority between cards is the vertical order. This is as simple as the method itself, move high priority cads upper and place less important stories on the bottom of the board. Organizing features into releases is also a prioritization. In addition, you can use releases such as MoSCoW categories. In contrast, in some cases, these methods don’t deliver enough value. For example, the fourth task of a user step can be more important than the first card of another step. Jeff Patton used the following three categories for prioritization (according to KANO model): “Must haves”, “Delighters”, “Satisfiers”. 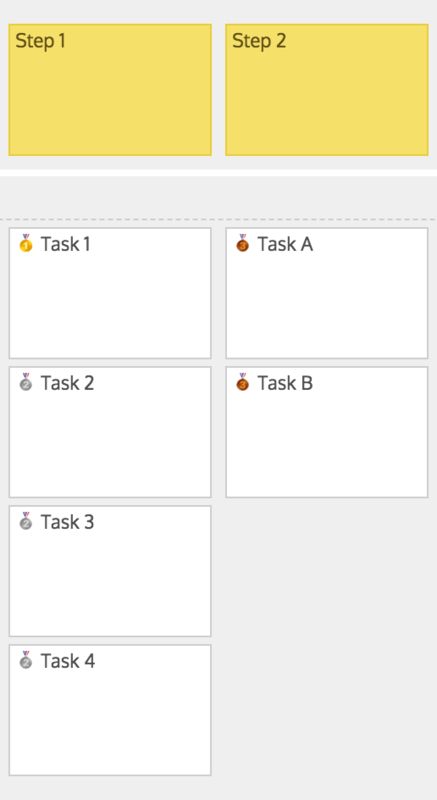 To sum up, labeling with Emoji icons gives an excellent option to separate, differentiate, prioritize tasks. At the same time, you can narrow the team’s scope by using the search & filter. And also your backlog will look nice. I’m curious about your labeling tricks, so any other ideas are welcome. Leave a comment below and follow us to the next part! Thanks for the question. To be honest, the emoji labeling is a “DIY-idea”, but our dev team would improve the labeling features. The emoji shortcut on Mac works good and shows the frequently used icons on the top, so you don’t need to scroll down. It’s a bit slower on windows. You should try out an emoji extension, but I’m not sure it will be faster. In addition to, I have another suggestion: You can tag user stories with standard characters eg [_] [O] or [?]. Using this method you can filter out labeled cards, and visualize journeys etc. Use them in bold version __[_]__ , __[O]__ or __[? ]__ to gain visuality. It delivers less visuality but more speed.